Did you know that PDF (Portable Document Format) is the most used file format for storing and sharing information? Self-contained: The formatting, fonts and layout will look the same every time reardless the operating system or software used for opening and reading them. Print-friendly: PDF is the best file format for printing. What you see on the screen is what you get on the hard-copy. Secure: Encrypted PDF files can restrict content viewing, copying and/or printing. File size: PDF can be compressed into a small file size without compromising the document quality. Editing: The original idea behind PDF was to protect the content and layout of the document so they are not editable by their nature. Some are images: PDFs created from a scanned hard-copy document are not searchable because they don’t contain any underlying text layer. Don’t worry, there are ways to overcome these obstacles. The most obvious one is to use a dedicated PDF manipulation tool that can create, edit and convert PDF files. No point in denying the obvious, PDF tools have become indispensable in the contemporary world, and everyone is using them to some extent. That’s why we are going to teach you how to convert and edit PDF files in the following paragraphs. We’ll be using Able2Extract Professional for these purposes. Cross-platform: The software can run on Mac, Windows and Linux. PDF Conversion: Convert PDF files to all popular file formats such as MS Office (Word, Excel, PowerPoint, Publisher), HTML, AutoCAD, images, OpenOffice, CSV, batch conversion. PDF Creation: The software can create PDF documents from any printable file format and add various security parameters (password encryption, viewing/editing/copying permissions). PDF Editing: It comprises PDF page editing (merge, split, delete, insert, rotate, resize, scale) and PDF content editing features: add/delete text and visuals, font, style and color modification options, add Bates numbering, annotations, perform content redaction, fill in and edit PDF forms. Able2Extract allows you to quickly convert your PDF files into easy-to-update formats such as Microsoft Word and Excel. The best part is that the software comes with an OCR engine and the batch conversion feature. 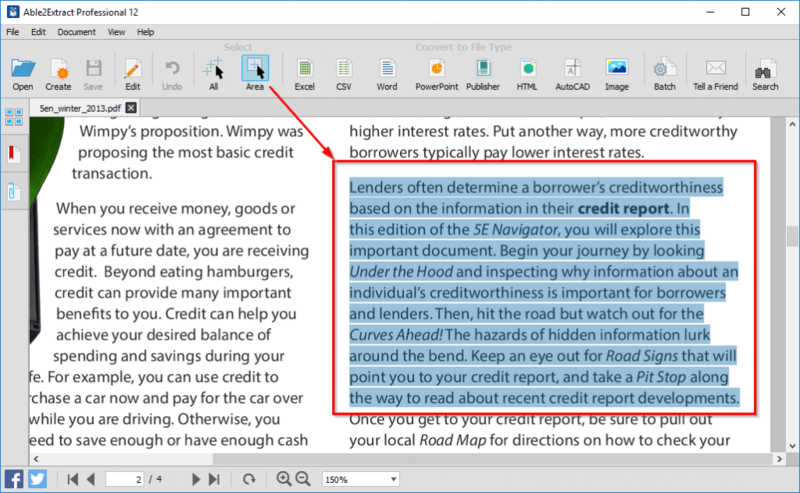 In the following lines, we’ll show you how to OCR a PDF, how to convert PDF to Word and Excel and batch convert multiple PDFs at once. Follow the steps below and learn how to convert PDF to Word. Step 1: Launch Able2Extract Professional and click on the Open icon located at the command toolbar. After that, locate the PDF file you want to convert to MS Word, select it and click Open. Step 2: Decide whether you want to convert the entire document or just an excerpt from it. 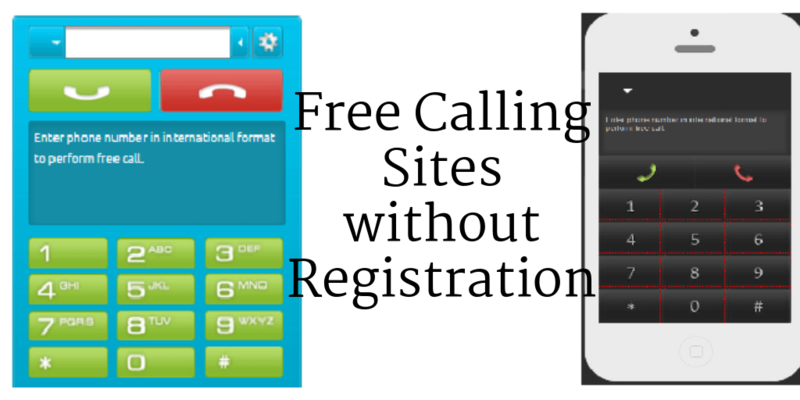 To convert the entire document opt for the option All in the Select Area section. Likewise, to convert just a part of the document, click on the Area option and draw a selection box over the desired area. 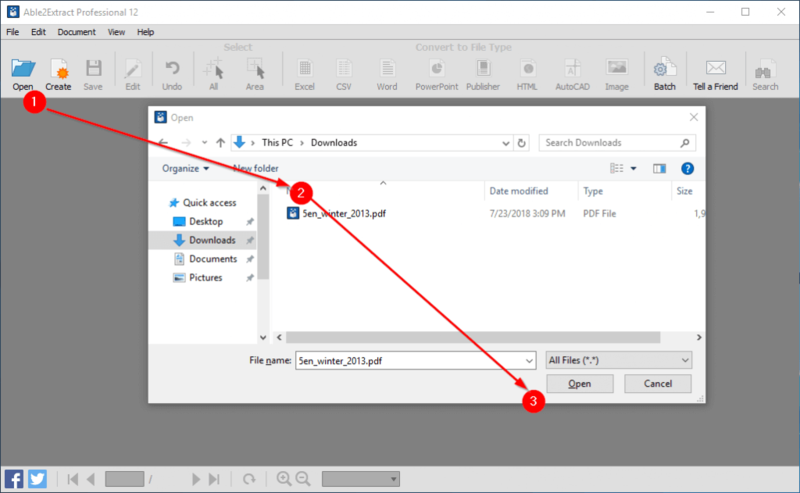 Step 3: Look for the Word icon in the Convert to File Type section and click on it. 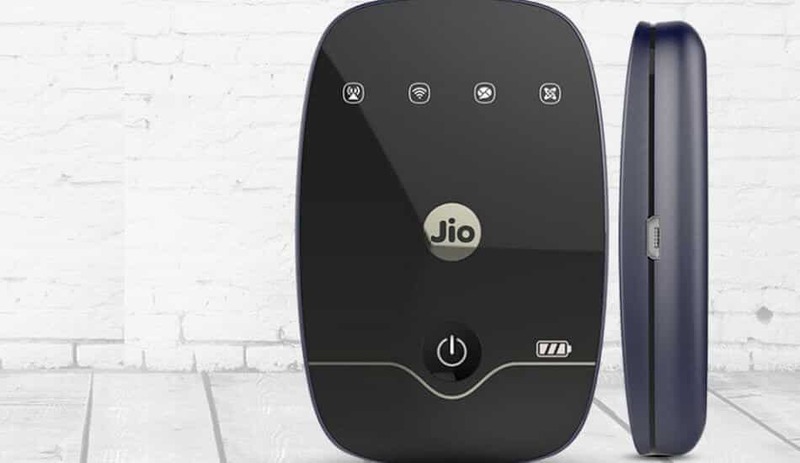 Determine where you want to save the converted file on your disk, choose the file name for it and click on the Save button. Your file will open in MS Word as soon as the conversion is finished. Converting scanned PDFs to Word with Able2Extract is easy. Simply follow the above steps for converting native, electronically generated PDFs to Word. The OCR engine is switched on by default, which means that it will recognize that you want to extract content from an image PDF. So it will perform OCR automatically for you and convert that scanned PDF to Word without any special action on your part. Step 1: Click on the Batch conversion icon located to the far right of the top toolbar. A Batch conversion dialog will pop up. Add Files… – Add files one by one. 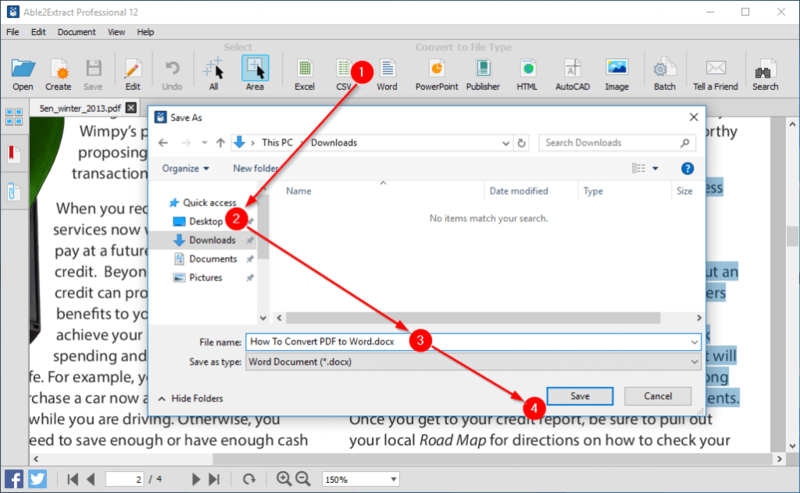 Add Directory… – Convert an entire folder to the desired file format (Able2Extract will scan the folder and convert every PDF file within it). Output folder checkbox – by default, the software will save the converted files in the source folder. To change it, uncheck the Same as Source checkbox, click on the Browse button and select the desired output folder. 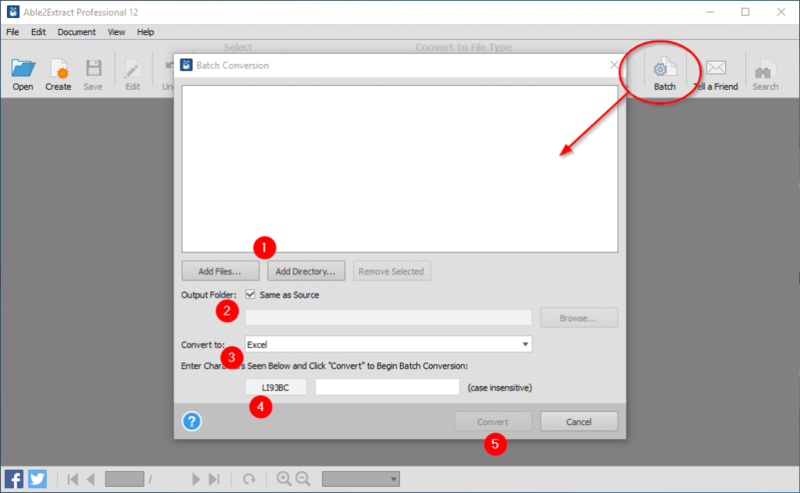 Convert to – Choose the conversion output format. 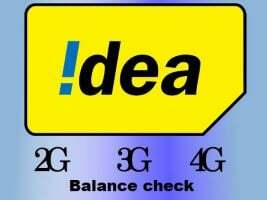 Security code – The software requires you to re-enter the security code (case insensitive). Step 3: Hit the Convert button and initiate the conversion process. When it comes to PDF to Excel conversion, Able2Extract provides two conversion types: Automatic (standard) and Custom (advanced). Automatic conversion is suitable for PDFs containing clean, well-defined tables that you want to translate into spreadsheets just as they are. Automatic PDF to Excel conversion is performed in the same way as the above-described PDF to Word conversion. Open the PDF, make your selection, and click on the Excel button located in the toolbar. In the Convert to Excel dialog, click on the button Convert located under the Automatic conversion option. Custom PDF to Excel option is for complex PDF tables. This advanced feature enables you to manually edit the table layout (row and column structure) and preview the output in the program window prior to converting the file to MS Excel. Here’s how to do it. Step 1: Open the PDF you want to convert, select the area you want to convert to Excel and click on the Excel icon. A Convert to Excel dialog will appear. Click on the Define button. 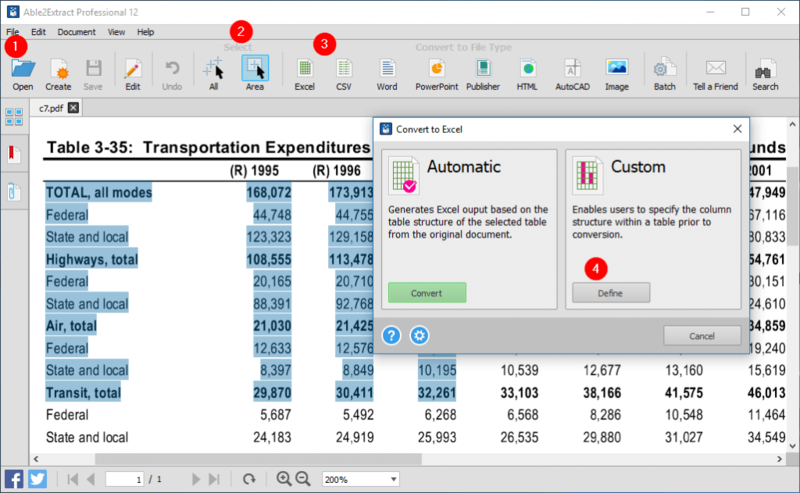 Step 2: Customize your PDF to Excel conversion by adjusting the rows and columns (by manually moving the lines around the table) or using the options from the custom PDF to Excel options panel on the right. You can modify the named table structures, add, delete and replot tables, manipulate rows and columns (add, delete), edit headers and footers and preview every change you make to check if everything is ok. Step 3: Click on the Convert button and Able2Extract will extract the selected tabular data from PDF to MS Excel. Able2Extract can edit PDF in a number of ways. You can edit or create a PDF form from scratch, add or delete PDF text and images, export and merge PDFs, delete and insert PDF pages, insert watermarks and other annotations, redact sensitive data and more. Step 1: Open the PDF file you want to edit and click on the Edit icon on the command bar. 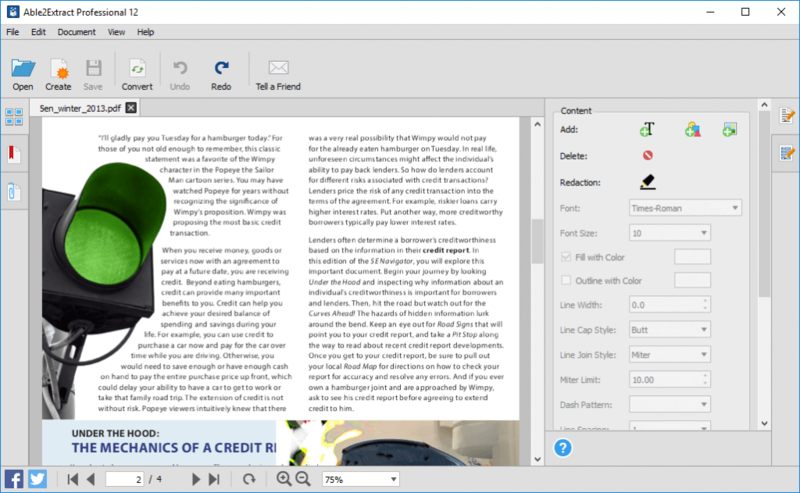 The tool will switch to PDF editing mode. Step 2: Add or delete text and images using the appropriate options from the editing panel on the right. To delete text and images click on the Delete icon and remove the desired elements from the document. In the same way, use the Add text and Image options to write on the document and insert photos. You can also redact certain confidential words or whole paragraphs with the Redaction tool. Just click on the Redaction icon and draw a box around desired content to redact it from the document. By redacting PDF, you will black out confidential or finance information that you don’t want to share with anyone else. Here’s how to add new pages (blank and/or from other PDF) and remove unnecessary ones from your PDF document. In the Pages section of the editing panel, click the Delete… button and determine the first and the last page you want to remove from the document. Similarly, use the Insert… and Insert from PDF… buttons to either insert blank pages or pages from a different PDF to the document you’re editing. In the same manner, you can extract, move, rotate, resize and scale PDF pages with Able2Extract. We hope this handy guide gives you a good idea on how to convert and edit PDF files using one software only. If you have any questions or comments, please leave them in the comment section below.